This month I took part in The Lunar Chronicles (Re)Readalong aka #TLCReadAlong on Twitter run by BookAddictsGuide and read Cinder by Marissa Meyer for the first time and really enjoyed it. As a part of The Lunar Chronicles (Re)Readalong there’s bonus posts you can do and I’ve chosen to write about my favourite Sci-Fi films, looking at films that feature robots, aliens and the moon since they are all major parts of Cinder. I love sci-fi that tackles robots and technology and whether robots can have human-characteristics and even be human. 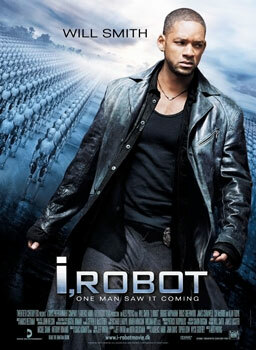 I, Robot covers the laws of robotics and has a great take on cyborgs, robots and artificial intelligence plus it has Will Smith being awesome. It’s one of my favourite of his films. Sam Bell is alone, working on the moon and can’t wait to get home. Things start to get weird when he discovers someone who looks exactly like him and he begins to question everything he has been told and his on sanity. Moon a great film full of suspense and Sam Rockwell is great as the only actor you see on screen throughout the film. 2009 was a good year for first feature films that were sci-fi (Moon also fits in this category). 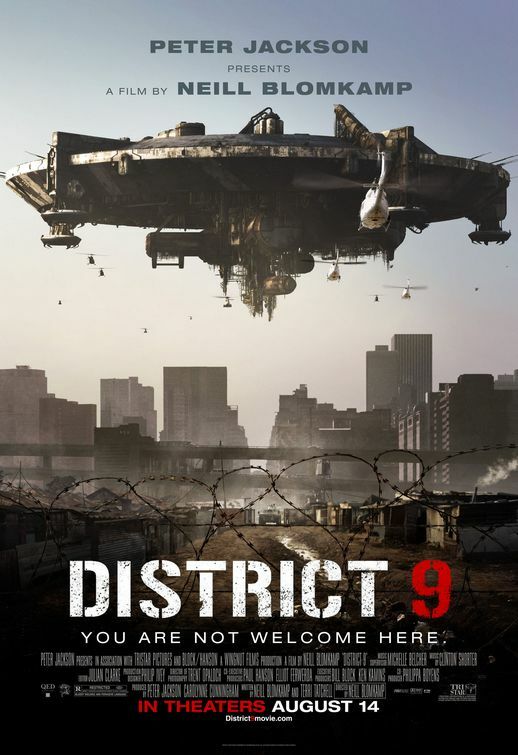 Set in South Africa, a race of aliens have become segregated from the human population. Government agent Wikus Van De Merwe (Sharlto Copely) becomes exposed to their biotechnology and forms an alliance with the aliens in order to survive. Sharlto Copley is great as the smarmy agent who you don’t really like to start with but then end up sympathising with and the way it is shot makes it feel gritty and believable. I love this film so much! I think if you grew up in the 90’s Independence Day just has to up there with your childhood favourites. Will Smith is the cocky fighter pilot, Jeff Goldblum is the nervous tech guy who figures it all out and Bill Pullman is the President and together they find a way to stop the alien invasion. 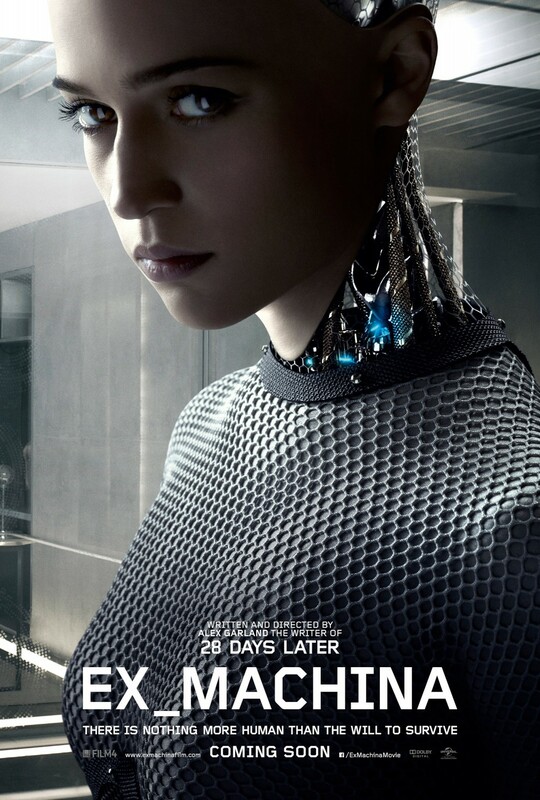 Ex_Machina is a great modern sci-fi film that looks at artificial intelligence and if it can be “real”. It also has a great cast and it’s a very small film with just Domnhaal Gleeson, Oscar Isaacs and Alicia Vikander staring in it. It’s a very creepy and disconcerting film and I’m not sure if I’d rewatch it but I did like it a lot. I haven’t seen hardly enough of these! But I’m also getting into sci-fi a lot more lately. I’d definitely be interested in going back and watching some more sci-fi movies that I wasn’t as interested in before! Thanks for the recs! !